Art and paintwork have a particular way of capturing a sense of reality, no matter what the technique used by the artist is. It’s almost always based off something real, whether it’s an object, human or general expression. However, some artists pride themselves on creating artwork so real that your eyes will have you believe it’s a photo, not an paintwork. What makes a piece of art look so real is firstly if it’s based on a real concept, for example a human, place, building or a known area. Another factor that can help art look like reality is the level of detail the artist has put into the piece. Some artists will spend days and weeks on simple shadows or small creases within an artwork to best capture reality. 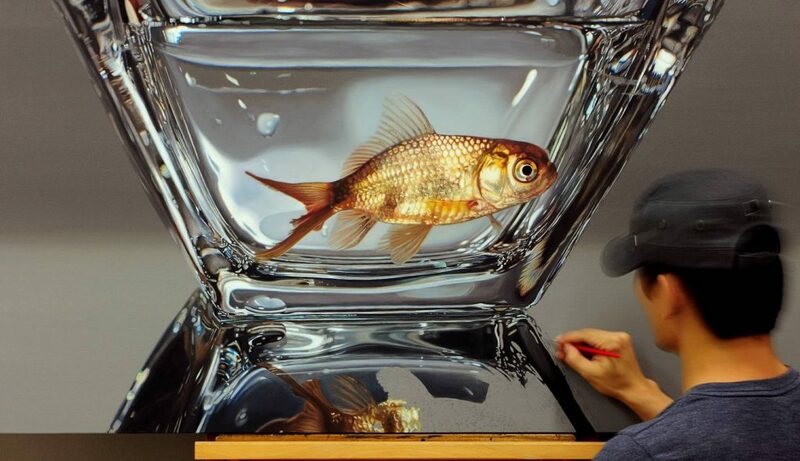 Here is a look at 12 paintings that your eyes won’t believe are not real.